Late in Adam Johnson’s novel The Orphan Master’s Son, the titular protagonist muses that, “In North Korea, you weren’t born, you were made.” The Orphan Master’s Son is a novel about what it means to claim agency—to literally make a self—in a totalitarian society that assigns an official narrative to each of its citizens. Our hero is Jun Do, a boy who takes on a martyr’s name like all North Korean orphans, even though he believes with absolute commitment in a narrative he’s created where he’s the son of the man who keeps him and the other orphan boys. His mother? Well, she’s a phantom in a photograph, a beautiful singer disappeared on a forgotten night. In the orphanage, Jun Do decides which boys will eat and which ones will not, who will freeze and who will stay warm. He even chooses their names from the list of Revolutionary Martyrs. From the outset of his life, Jun Do must navigate a world where his own capacity for human feeling is always threatened, preëmpted, or outright destroyed by institutionalized suffering. Reaching early adulthood, Jun Do joins the army where he’s trained in martial arts. He joins a tunnel unit, learning how to fight in total darkness. In the tunnels, Jun Do receives the first of many opportunities to defect (in this case to South Korea). Johnson explores the tension of such a choice again and again. In time, a special unit conscripts Jun Do to “pluck” (the official euphemism for kidnap) Japanese citizens from their own beaches and seafronts. As a reward for his skills, he’s allowed to learn English, and soon winds up as a radio spy on a North Korean fishing vessel (these are the best moments of the book). During this time, Jun Do eavesdrops on two American women who plan to row around the world, a plot point that resurfaces in the novel’s second-half. He also finds himself a decorated hero of North Korea—but almost as soon as he finds a would-be home and family in the fishing vessel and crew, he’s plucked away on a mission to Texas. The Captain didn’t say anything to that plan. “The trawlers were always coming,” he said. “They’d be out for weeks and then show up to transfer their catch to our prison ship. You never knew what it would be. You’d be down on the gutting floor, and you’d hear the engines of a trawler coming astern and then the hydraulic gates opening up and sometimes we’d even stand on our saw tables because down the chute, like a wave, would come thousands of fish—yellowtail, cod, snapper, even little sardines—and suddenly you were hip deep in them, and you’d fire up your pneumatic saws because nobody was getting out until you’d gutted your way out. Sometimes the fish were hoarfrosted from six weeks in a hold and sometimes they’d been caught that morning and still had the slime of life on them. “Toward afternoon, they’d sluice the drains, and thousands of liters of guts would purge into the sea. We’d always go up top to watch that. Out of nowhere, clouds of seabirds would appear and then the topfish and sharks—believe me, a real frenzy. And then from below would rise the squid, huge ones from the Arctic, their albino color like milk in the water. When they got agitated, their flesh turned red and white, red and white, and when they struck, to stun their victims, they lanterned up, flashing bright as you could imagine. It was like watching underwater lightning to see them attack. “One day, two trawlers decided to catch those squid. One set a drop net that hung deep in the water. The bottom of this net was tethered to the other trawler, which acted like a tug. The squid slowly surfaced, a hundred kilos some of them, and when they started to flash, the net was towed beneath them and buttoned up. Jun Do heard the story as if it were being broadcast from some far-off, unknown place. Real stories like this, human ones, could get you sent to prison, and it didn’t matter what they were about. It didn’t matter if the story was about an old woman or a squid attack—if it diverted emotion from the Dear Leader, it was dangerous. Jun Do needed his typewriter, he needed to get this down, this was the whole reason he listened in the dark. “What was his name?” he asked the Captain. “What’s that mean?” the Pilot asked. I’ve quoted so much here—really more than belongs in a book review, I suppose—because I think that this little story perfectly condenses the novel’s best features. Our characters are forced into an impossible situation, one that can’t have a good end for them. We also get the sense of the deep personal loss—of disappeared persons—that haunts The Orphan Master’s Son. And: The power of story-telling, to move and motivate and thrill, but also to be yet another agent in the aforementioned disappearing. The excerpt above is a really great stand-alone piece of writing, and I guess I feel the need to clarify that I think Johnson is a pretty good writer before I set about telling you why I didn’t like the second half of The Orphan Master’s Son. I should probably clarify that I think many people will enjoy this novel and find it very moving and that the faults I found in its second half likely have more to do with my taste as a reader than they do Johnson’s skill as a writer, which skill, again I’ve tried to demonstrate is accomplished. I like picaresque novels, fragmentary novels, novels that let the reader do the heavy-lifting, novels that leave open spaces and gaps. The first half of The Orphan Master’s Son is such a novel. The second half, “The Confessions of Commander Ga,” settles down into a plot- and motif-driven arc that too-often overstates its case. For me, a good riff of dark, sad, occasionally hilarious tales cohered too heavily in “Confessions” into a gelatinous mess of plot strands verging on soap opera. Johnson’s admirable ambition leads him to overload the novel with unmanageable plot turns and leitmotifs. The biggest problem though is the overwhelming suspicion that Johnson is simply out of his element in trying to inhabit the North Korean imagination. Although he’s clearly done his research, North Korea is essentially closed to the rest of the world. And Johnson is a U.S. American. I mean, there’s this whole other impossible-to-digest ball of wax here that makes Johnson’s admirable intent to write a novel about “propaganda” just way too complicated to suss out in a review, and I’ll admit that I tend to read like a reviewer, and that these notions just bugged the hell out of me as the novel progressed. Johnson’s novel repeatedly reminded me of David Mitchell’s excellent historical epic The Thousand Autumns of Jacob de Zoet, a book that also obsesses over storytelling and identity in a closed nation. Mitchell’s novel provides the Western reader with a European surrogate in the titular de Zoet, an obvious device that nonetheless adds to the book a richness—and frankly an authenticity—that The Orphan Master’s Son lacks. Johnson’s title character (again, reader surrogate) is North Korean, and even though Johnson takes pains to show the internal machinations of his character’s changing personality, there’s a deeply U.S. American perspective that underwrites his psychology. We’re repeatedly told that in North Korea it’s the story that’s absolute, “But in America, people’s stories change all the time. In America, it is the man who matters.” By changing his story, Jun Do emotionally, spiritually, psychologically (choose your idiom) defects to The Land of Opportunity. If I’ve withheld summarizing or even illustrating the plot of “The Confessions of Commander of Ga,” I’ve done so to avoid spoilers. Again, many people will dig this novel, and any explication would ruin its second half. Let’s just say there’s an actress. And a second life. And those rowers come up again. And a love story. And a branding iron. And the Americans. And The Dear Leader, of course. And Casablanca. And dogs. Etc. The Orphan Master’s Son is very much a dystopian novel, and its second half often reads like the love story from 1984 (should I point out here how dreary I often found that plot form 1984? No? Fair enough). 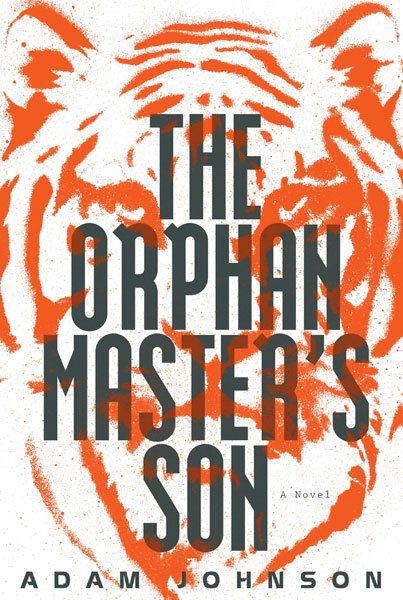 Toward the end of The Orphan Master’s Son, I began imagining how the novel might read as a work divorced from historical or political reality, as its own dystopian blend—what would The Orphan Master’s Son be stripped of all its North Korean baggage? (This is a ridiculous question, of course, but it is the question I asked myself). I think it would be a much better book, one that would allow Johnson more breathing room to play with the big issues that he’s ultimately addressing here—what it means to tell a story, what it means to create, what it means to love a person who can not just change, but also disappear. These are the issues that Johnson tackles with aplomb; what’s missing though, I think, is a genuine take on what it means to be a North Korean in search of identity.